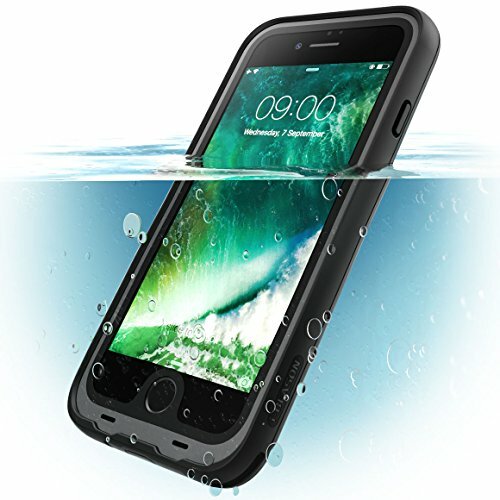 "Bring your phone wherever life takes you with i-Blason's all-new Aegis waterproof case for the Apple iPhone 7 Plus / 8 Plus. This case offers reliable protection that encompasses your iPhone in 360 degrees of defense. Port covers work to keep water and debris out, while a scratch-resistant screen cover protects without hindering touch sensitivity. Trust the Aegis' TPU bumpers to absorb shock during falls and the tough Polycarbonate backing to keep the body of your iPhone looking brand new." Compatible with Apple iPhone 7 Plus/ 8 Plus. NOT for Apple iPhone 7 / 8.